Emergency management officials said winds there reached 105 mph, blowing trees down and damaging several homes and businesses. 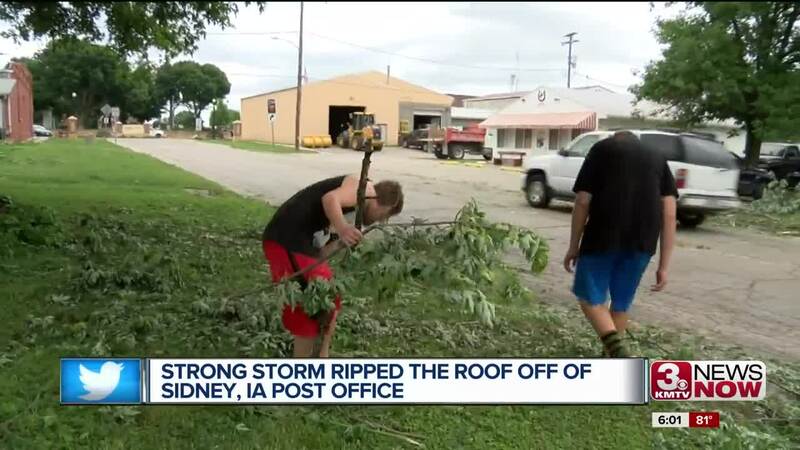 A major clean up is underway in Sidney, Iowa. "When I came up here the post office roof just pancaked over into the side street there," said Mike Crecelius. Not only was there damage at the post office, tree limbs fell at a few homes and businesses. 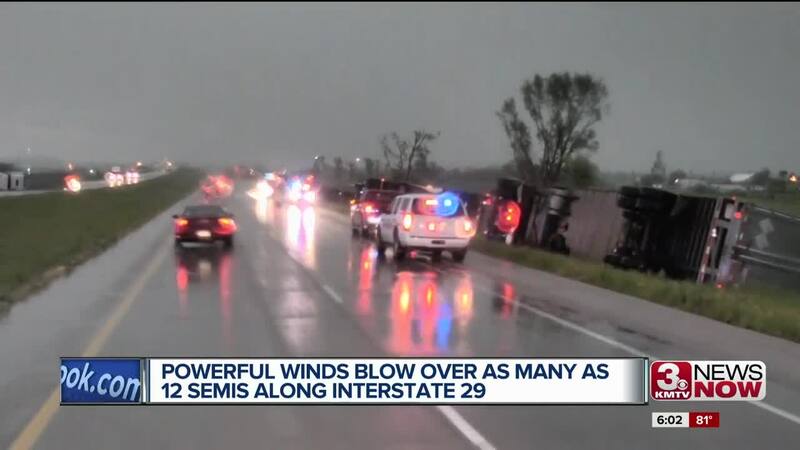 "I received a phone call from the National Weather Service in Valley, Nebraska saying that there were 88 mile per hour winds heading our way and everything just happened after that," said Crecelius. Fremont County Emergency Management Coordinator Mike Crecelius says those winds were actually 105 mph. "Right now the National Weather Service says just straight line winds, they have not been here to verify that it was anything else," said Crecelius. Patricia Jomullins says she was sitting at home when the storm touched down. "I better get in the basement, well I don't have a basement I have a dirt cellar, I'm more scared of what's in a dirt cellar than I am of a tornado, so the only room that don't have no windows is the laundry room," said Jomullins. "I heard thump and I just knew that tree in my backyard fell on my new roof, then three minutes later another thump and the house shook, another branch fell on that dirt cellar," said Jomullins. "So see that was God's way of telling me not to get in that dirt cellar cause I would have been trapped," said Jomullins. Her nephews are helping with the clean up and her electricity has been restored. "Went to bed last night no electricity, hotter than heck, nobody my weight like to be hot," said Jomullins. Although it has yet to be determined if a tornado actually hit this small town, it was enough to shake people up. "It doesn't matter how much you prepare everyone gets surprised sometimes," said Crecelius. Other than the post office, no major damage has been reported in Sidney. Neighbors say they are grateful because a similar storm in 2011 was much worse.